Stagedhomes.com has released the 2019 First Quarter Course Schedule and we are coming to a CITY NEAR YOU! Check out the upcoming locations for our 2 and 3 Day Courses. 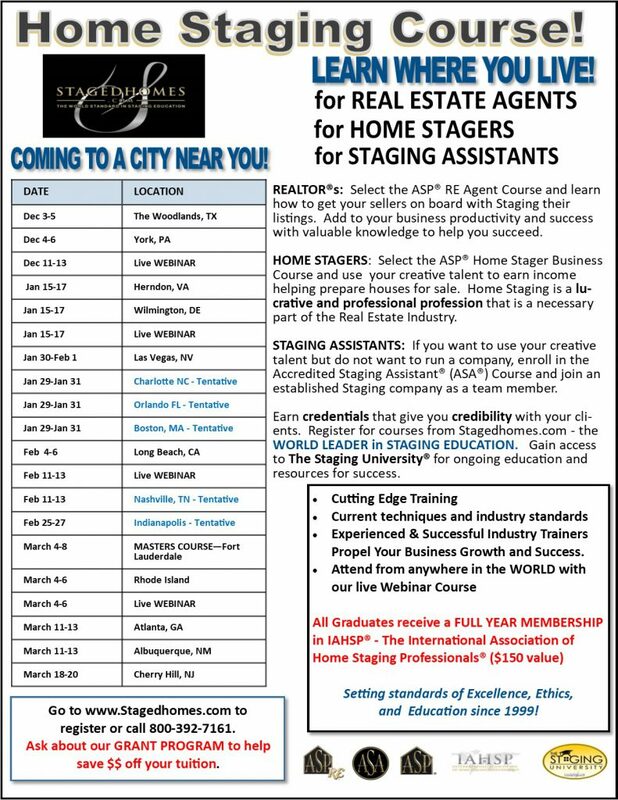 If you are a Real Estate Agent, you can enroll in the Accredited Staging Partner® (ASP®) Real Estate Agent 2 Day Course. If you want to assist existing Home Staging Companies with their projects, you can enroll in the Accredited Staging Assistant® (ASA®) 2 Day Course. 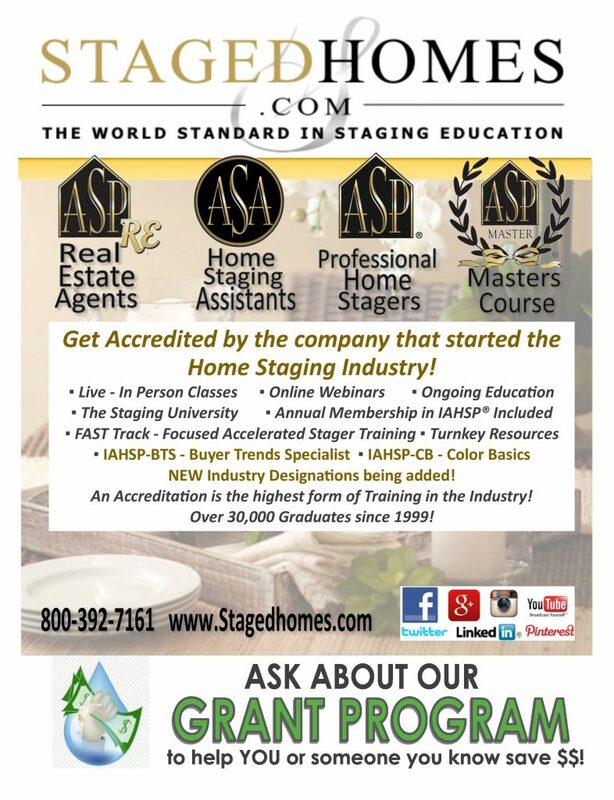 If you want to own and operate a successful Staging Business, you can enroll in the Accredited Staging Professional® (ASP®) 3 Day Business Course. Go to www.Stagedhomes.com to find out more and to register! Call 800-392-7161 or email [email protected].